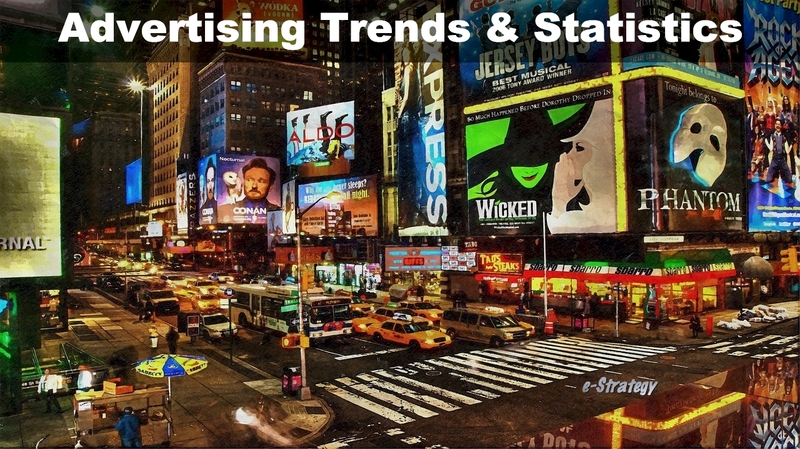 e-Strategy Trends’ continually-updated collection of advertising research, statistics and trends for marketing, public relations, advertising and strategic communications professionals. Online ad spending by the US media and entertainment industries will rise from $2.77 billion in 2012 to $4.34 billion by 2016. Roughly one-third of smartphone and tablet users say they would be more likely to pay attention to an ad on their device if the ad’s topic was relevant to them. Borrell estimates that national spending will decline by 12.9% from 2011 to 2016, with the biggest drops in network TV and directory spending at 41.9% and 41.4%, respectively. eMarketer estimates total ad spending in Canada will reach $13.51 billion in 2012, for growth of 5.8% over 2011. Mobile websites and apps are currently the most widely adopted mobile marketing tactics, used by 46% and 45% of marketers, respectively. Digital ad spending will exceed £5.3 billion in 2012 and is expected to reach £6 billion in 2013, representing 14.2% and 10.9% year-over-year increases. Asked about online video ads irrelevant to the site (though not necessarily irrelevant to them), 70% of women said they were more likely to ignore them. Contextual video ads made women feel more favorably toward both the brand (62%) and the site where they saw the ad (56%). US paid search spending grew 15.5% year-over-year in Q2, representing a slowdown from Q1’s 30.3% growth rate, per a June report from IgnitionOne.